Hi all, sorry i haven't been around for a couple of months. i have had lot's going on and i needed a bit of a break from something for a bit. But i'm back now. I have made a couple of cards while i have been away, it has been my mom's 70th birthday, my mom in laws and my dad birthday. I have posted these cards on my facebook page, but if your not a friend you won't have seen them. Sorry, but it's short but sweet night. Hope you like them. Hi all, i have had one busy weekend, i did a craft market at a near by glass works. I have done the market before (mother's day, christmas ect) and they are norrmally very busy, but this one was very quiet. I had fun as i was still making cards and dercorating books and i also meet some lovely people and a new fellow crafter called Rachael, who was really lovely. Any way on the new Little Claire Challenge - no 7 - sparkle. There are some really fab DT cards over at Little Claire so go and take a look. Hi all, sorry i haven't round alot lately. I am attending a local craft market at the weekend (14th -15th May) and i have lot's of cards to make, but i promise i will be back to normal (if you can call me normal) soon. 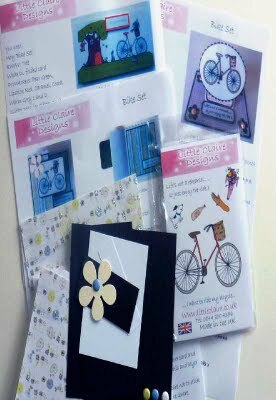 I do have some new Little Claire club stamp cards for you, it is called bike set and is great for man's and ladies cards. There are some really fab cards on the Little Claire Website from my fellow DT's, so please go over and take a look. hope you like them, and dont forget to visit the Little Claire website. Hi all, it's time for another Little Claire challenge and this time it's a sketch. It's a great sketch, which is good for me, i don't tend to change my layout on my cards, so it's a little different for me. 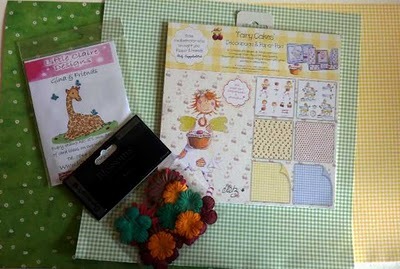 There are so great DT cards again over at Little Claire's Designs and a fab prize. I have used messing about by the river stamp, ( i love this stamp) papers from First Edition - Hideaway, ribbon, card stock from stash and sentiment also from Little Claire. Here is the sketch. as you can see it's a fab prize. So have a look at Little Claire Designs, the DT cards are fantastic. Today has been mothers day, and a lovely day it has been. I'm not a mom (not yet any way), but i have been to lunch with my mother in law, had tea with my mom and family. But today was also a special day for my sister in law, she gave birth to a beautiful little boy yesterday. After 31 hours in labour, he finally arrived, and tonight we have been to see him. Here are my cards for mothers day and baby James. this is my mom's card. my mother in law's card. It's time for the new Little Claire Challenge and this time it's spring celebrations. So we want to see Lot's of spring colours, spring images and Easter cards. There is a great prize up for grabs as well. The DT cards are fab this time, here's mine i have gone a bit over-board with yellow (but i like it). I have used messing about on the river stamp, coloured in using promarkers, papers from Dove craft, flowers, brads, ribbon and card stock from my stash and sentiment from Little Claire. Hope you like the card and take a look at Little Claire for all the DT cards. Yesterday i went to the NEC craft show, had a great day. I went with my hubby, mom and dad as always, but it didn't seem as busy as years gone by and not as many stalls, but i still managed to spend my money. here's what i brought, 8 stamps from LOTV, 2 packs of brads, the whole build a blossom kit from La pashe (including tools) set of 12 lnk pads, 5 promakers and 2 packs of paper. I think i did well, and all that's to do is play with them. and that's what i'm off to do now. Time is moving really quickly this year. It's time for another Little Claire Challenge. This time the challenge is pink and green. There is a fab prize on offer again and the DT card's are really fab too, so go take a look. I have had a very busy birthday weekend, on Saturday it was my sister in law's, we had a lovely night meeting friends and making new ones. Sunday was my niece's 3rd birthday and her first family birthday party, we had a great time. This is April's card, i have a Tilda Stamp called Dancing Party Tilda, coloured in using Promarkers, papers from Docrafts, sentiment and "3" from my stash. This is my card for my sister in law, i have used Congratulations Tilda, coloured in using promarkers, papers from my mind's eye, ribbon, flowers and sentiment from my stash. Little Claire are having a card making day on 18th June 2011 at the Holiday Inn, Chester. It's a whole day of making the most amazing cards with the Little Claire team! 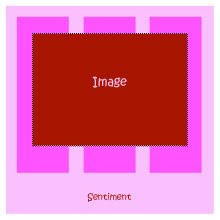 Everything is provided to give you the best time - you will be guided step-by-step to make your own gorgeous Little Claire cards, and you will be the first to use AND KEEP two NEW Little Claire stamp sets, never seen until the day. All materials (more stamps, lovely ribbons, stickers, sentiments, papers etc) are included and Gill & Steve will be there to look after you and will provide food & drink throughout the day together with a buffet lunch. Classes will run from 9am - 12pm & 1.30pm - 4.30pm. The Little Claire day will be held at the Holiday Inn, Chester on Saturday 18th June and places are limited to just 40. 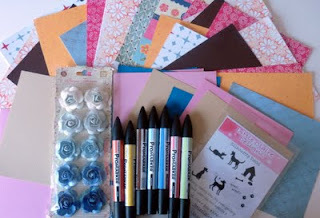 The day costs £100 which is fully inclusive of all materials, two NEW Little Claire stamp sets, food & drink and lots & lots of ideas and inspiration peppered with a smattering of fun! A £50 deposit is payable at time of booking and £50 to be paid by 31 May. Club members will receive 10% discount from cost. If you would like to stay over the night before a room can be booked for you at the hotel. To book onto this amazing day, please call us: 0844 800 4376 or email carol@littleclaire.co.uk and this will secure your place. 1.) 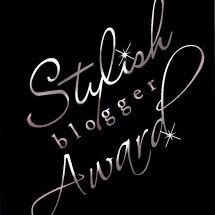 Create a post where you blog about the Liebster love award and choose 3-5 blogs to pass this award to. 2.) Let these bloggers know you passed this award to them. I can't believe where February has gone, and it's time for another challenge at Little Claire. This time's challenge is - flowers. As the last challenge went so well, we are now having a challenge every two weeks and not every month. We had over 500 enters, so thanks to every one that took part. I have used Little claire stamp Camellia, coloured in using promarkers, papers from Pink Petticoat - Vintage Rose Collection, card stock from my stash and sentiment from Little Claire. I can't believe it's March already, and that means one thing. The Little Claire Club Stamp and this month it's called Messing about on the river. Theses are lovely stamps and really easy to work with, check out the Little Claire website for the rest of the DT's cards they are great. I have used messing about on the river stamp, coloured in using promarkers, papers from My Minds Eye, ribbon, card stock from my stash and gems from my good friend Amanda. I have used messing about on the river stamp coloured in using promarkers, papers from DCWV, card stock and flowers from my stash. I am entering my first card into the following challenges. Hope you like the cards. It's a quick post tonight, i was going to post last night, but the West Brom match was on. 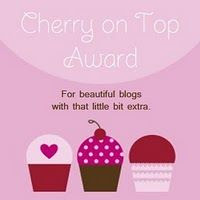 I have been given a lovely blog award, by Carol over at Carol's Crafty Corner. She has fab cards, so go check out her website. Thank you Carol. There are some rules that go with award. 2. I have lost 2 and half stone since Sept, and i have another stone and half to go to hit my target. 4. My iphone is never far from my hand. 5. I'm a huge Glee fan. The second part i will come back to you, i have to give the award to 15 blog's i have recently discovered.